I have spent a long time perfecting a macaron and I am so happy to finally share this recipe with you! 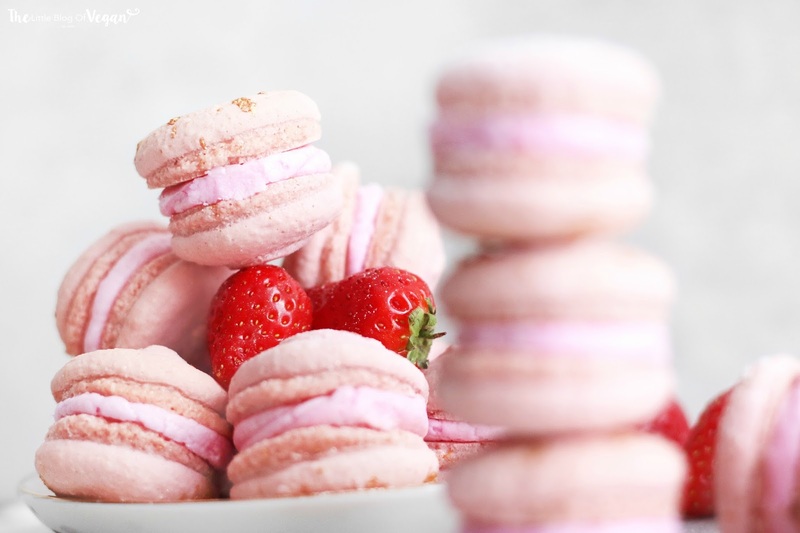 These are my delicious vegan strawberry lemonade macarons which have a smooth and shiny top, ruffled feet and a yummy moist & chewy middle! I added the tasty Fentimans rose lemonade into the buttercream frosting, along with some lemon which creates a delicious strawberry lemonade flavour! 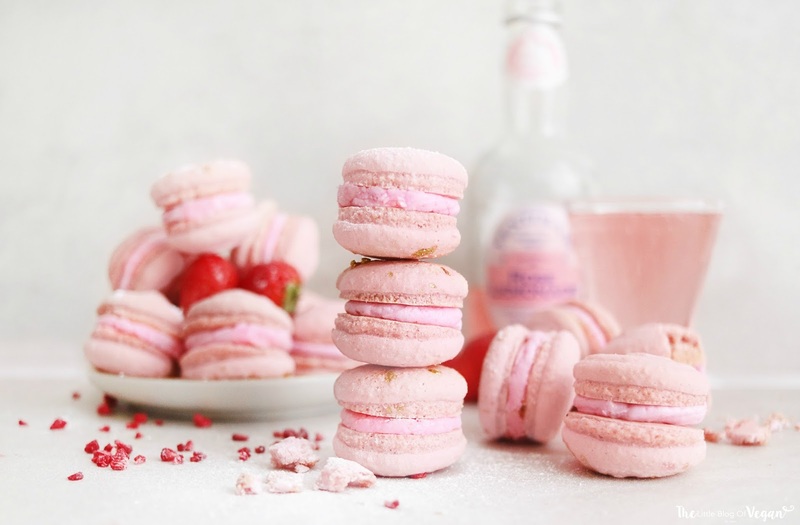 These macarons would be perfect to make for an event, as a gift or as a little snack! 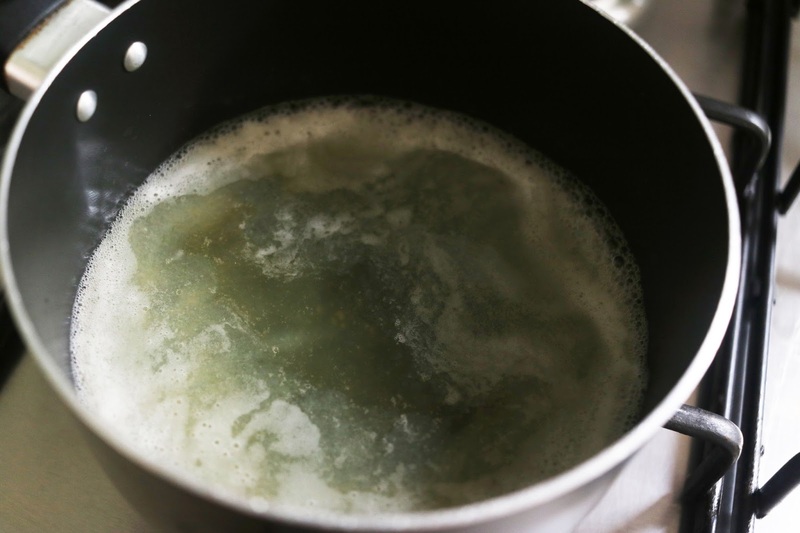 Step 1- Place the chickpea brine into a small sauce pan and place on the hob over a medium heat. Simmer until it reduces to about 1/3 of the original mixture. Once reduced, set aside to cool. Step 2- Place the chickpea brine into a mixing bowl and whizz up on high until fluffy. 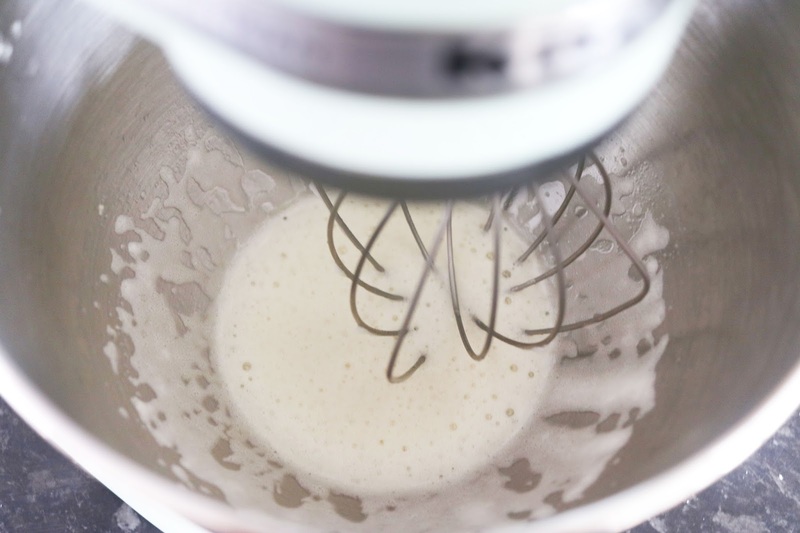 I use a stand mixer with a balloon whisk attachment but you can use a hand mixer. This will take around 5 minutes. Step 3- Once fluffy, add in the golden caster sugar a little at a time while the mixture is still mixing on high. The mixture will turn thick and glossy. Step 4- Add in the food colouring and vanilla extract, then whisk until combined. Make sure the mixture is thick and glossy! It should resemble marshmallow fluff at this stage! Step 5- Fold in the ground almonds & icing sugar. I like to use a rubber spatula. 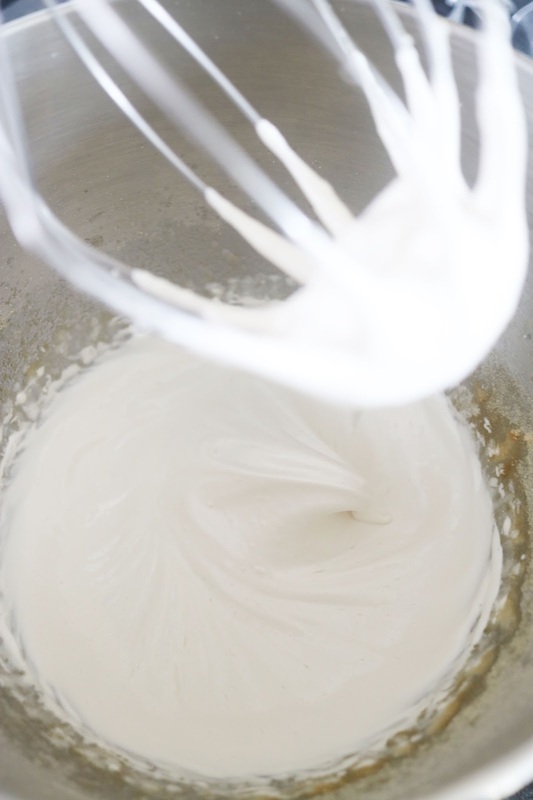 Watch this video to learn on how to fold in the mixture. Step 6- Line a baking tray with grease proof paper. Step 7- Transfer the mixture into a piping bag and pipe 3-4-inch round circles on the lined tray, then swirl the tip off to one side. Repeat for all of the batter, making sure to space out the macarons. Step 8- Tap the tray firmly against counter 2 or 3 times to release any air bubbles. 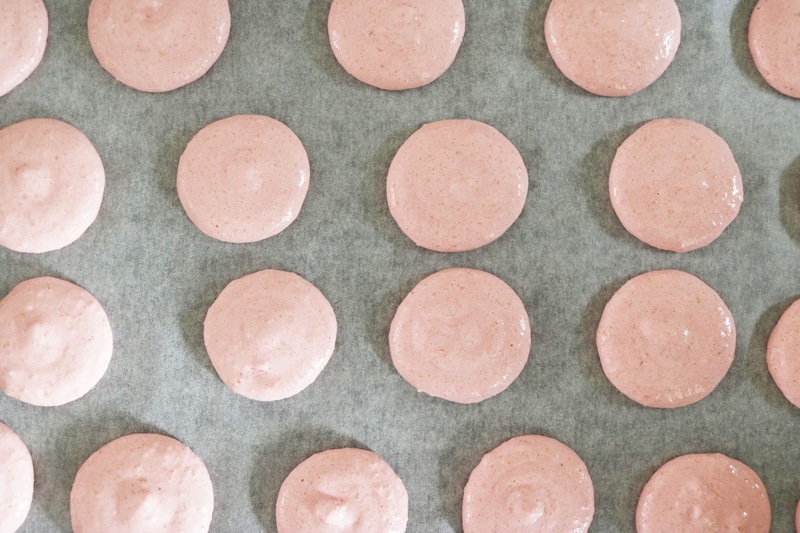 ALLOW THE MACARONS TO STAND AT ROOM TEMPERATURE FOR 2 HOURS. Step 9- Place the macarons into the middle of a cold oven, shut the door and immediately then heat the oven to 99-100 degrees c.
Bake the macarons for 20 minutes. Step 10- Ater 20 minutes, turn off the oven and leave the macarons in the oven with the door closed for 15 minutes. Step 11- After 15 minutes, open the oven door and leave the macarons to sit for 15 minutes. Step 12- Allow them to cool fully before filling. 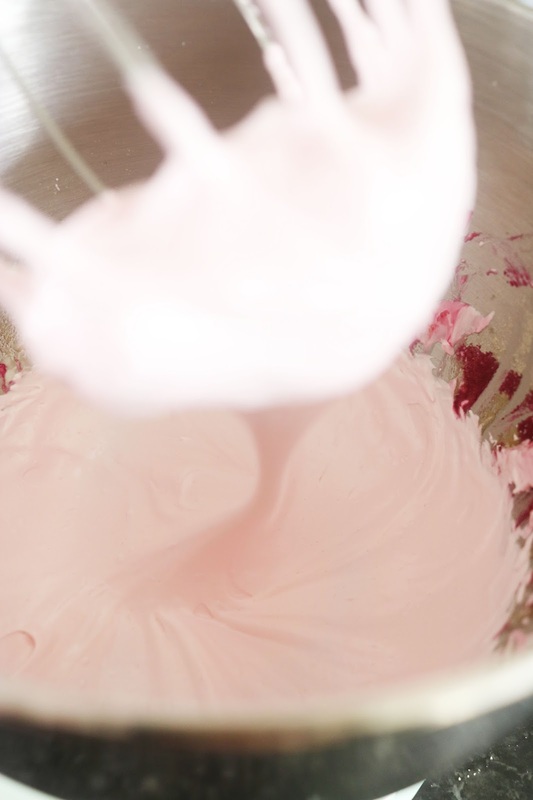 Step 1- In a bowl or stand mixer, cream the butter on high then add in icing sugar, lemonade, lemon extract and pink food colouring. Step 2- Transfer the filling into a piping bag. Step 2- Once the macarons have cooled, add a swirl of filling to one macaron shell and press another ontop to create a sandwich. 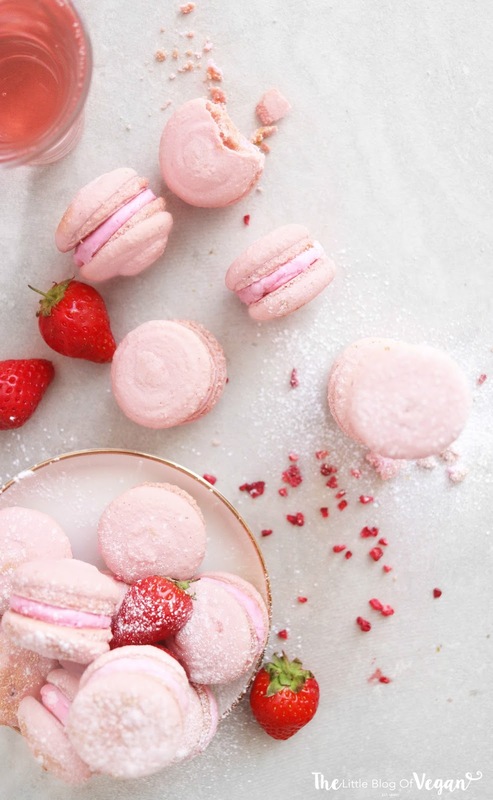 Repeat for all of the macarons.